Are you already gearing up for the holiday season and does it get busier for your business during the holidays? Where will you be during that time? What has been your #1 experience in Alaska thus far? This is the 13th Talk Tuesday post – can you believe I’ve been doing them that long? Did you miss the other ones? Week 1 | Week 2 | Week 3 | Week 4 | Week 5 | Week 6 | Week 7 | Week 8 | Week 9 | Week 10 | Week 11 | Week 12. 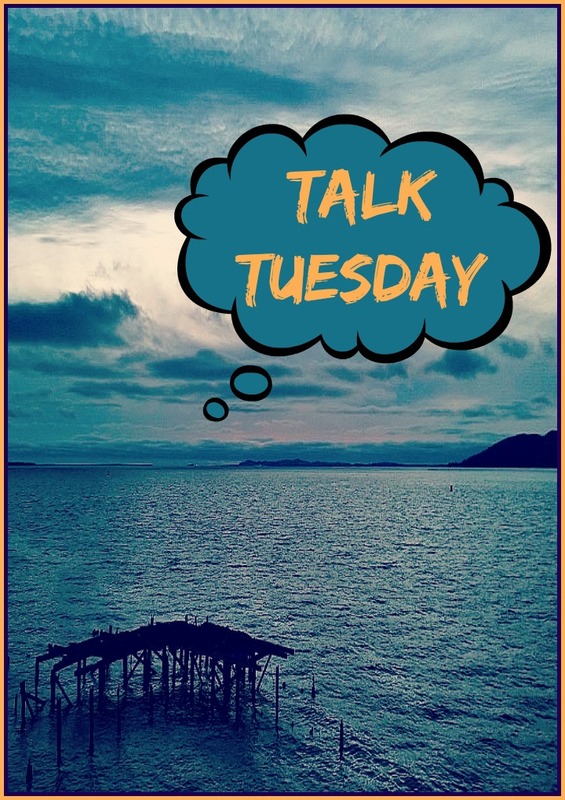 It amazes me that the Talk Tuesday posts get so much engagement and I love it! I collect the questions people ask me and answer them every Tuesday. Have a question for me about anything? Ask away in the comments below before next Tuesday. I’m always surprised what people end up asking me! I have been working on Holiday stuff for a few weeks now for both my site and for my clients. Personally, I am trying to make sure I really cover my niche this year and not be all over the place. I will still bring mega hot deals, but those will be limited. I spent 20 hours a day working last holiday season with very little return for my time. I am trying that old adage of working smarter, not harder. The process of educating people to purchase through my links for purchases is still one I haven’t been able to succeed at. I mean everyone buys from Amazon, right? I am also trying to slow down in some respects so I can write my book. I am a work horse, so this often proves to be a tad difficult. Organization and prioritizing have become the two things I am working the hardest on right now. No, I don’t know where I will be during the holiday season yet. This is really, and I mean REALLY hard to answer. I don’t have a #1. Is it when I saw Orcas leap out of the water, or when I touched a glacier for the first time, or when I laughed and laughed playing Cards Against Humanity for the first time. Or it could have been being kissed at the top of Beluga Point or feeling the ice cold water wash over my toes at Resurrection Bay. 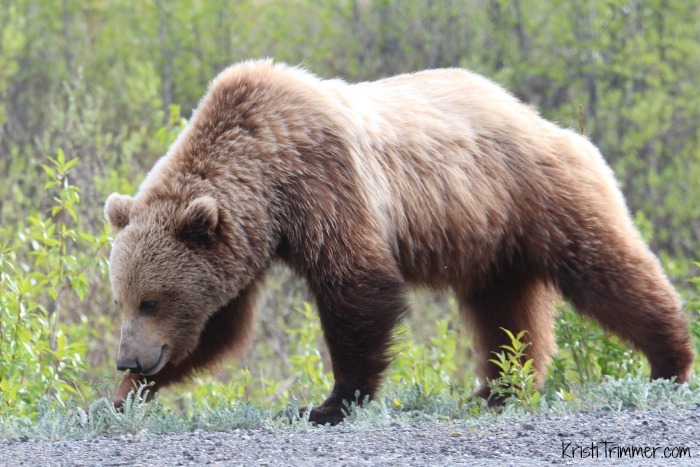 The drive into Alaska started this journey out right when I saw a Grizzly Bear eating dandelions on the side of the road – I thought I would see a lot of those here and that was my only one. I can also remember the first time I saw a Moose with her baby or when I saw three Eagles soar overhead. I can’t pick just one experience as I love them all. I have loved my time in Alaska – this has been one of the best summers of my life. Hands down, macaroni and cheese. I love homemade mac and cheese, but I grew up on Kraft and can still eat that anytime. I switched over to Annie’s because it was non-GMO and soy-free, but with them selling out to General Mills, I don’t know if it will still be safe for me to eat. Sigh. OHhhhh I have a mad love affair with tacos. And limes. Limes are my favorite fruit. Weird, I know. Being forgotten. I left Phoenix thinking people would keep in contact, some have, but most don’t – that is true for family and friends. If it weren’t for Facebook and Instagram, I wonder if I would still cross people’s minds. I also fear, or think, that I wouldn’t be missed if I was no longer here. That ties into being forgotten. What do I fear the most about staying in Alaska is a different story. I fear the cold, the snow as high as I am tall, and being stranded somewhere and having no one to call. I’ve never seen a first snowfall before, not really experienced fall with leaves changing and everything, so I am curious to see what it is like. Would I like it or hate it? If I stay and the darkness is too much for me, how can I get out? Since I have been on the road 17 months now, I have had a lot of fears, and I have fought through each and every one of them. I will work through these ones until I am not afraid of them anymore. The mental fears though, those are deep seeded and take a bit more work to conquer. « #MooseMonday – Oh My Eyes!